The YWCA of the Upper Lowlands, Inc. will honor Dr. Wanda Andrews, superintendent of education in Lee County School District (LCSD), along with other community leaders during their inaugural “High Heels in High Places” Afternoon Tea on Saturday, March 16. Themed “Always keep your Heels, Head and Standards High”, the gathering will commence at 4 p.m. at UBI Training Center, 451 Broad Street in Sumter. Andrews will receive the Community Action Award, which recognizes individuals who have assisted in education and supportive services for children and families. This summer will mark Andrews’ sixth year as superintendent in LCSD. 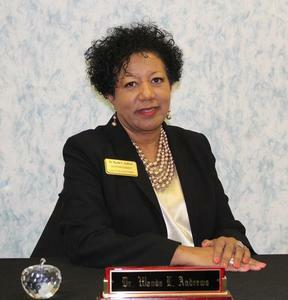 She was previously assistant superintendent of personnel and student services in Spartanburg School District 7. Andrews has decades of experience in education, mostly in educational leadership and program management. She previously served as deputy superintendent of personnel and student services, principal at High Hills Elementary School and assistant principal at Shaw Heights Elementary School for Sumter District 2. Her educational career began in 1979, having served as a teacher in Sumter County, Spain and Germany. She holds a bachelor's degree in elementary education from Lander University in Greenwood, a master's degree in special education from S.C. State University in Orangeburg and a doctorate in educational leadership from Nova Southeastern University in North Miami Beach, Fla. The keynote speaker for the occasion is Dr. L. Michelle Logan-Owens, chief operating officer at Palmetto Health Tuomey. She has been with Tuomey for more than 20 years and most recently served as President and CEO of Tuomey Healthcare System. Logan-Owens earned a master’s degree from the Medical University of South Carolina and a doctorate in health care administration from the Medical University of South Carolina in 2014. She has an undergraduate degree from the University of South Carolina. Tickets to attend the event are $35 each. Table sponsorship is $500. For additional information, call 803.773.7158.